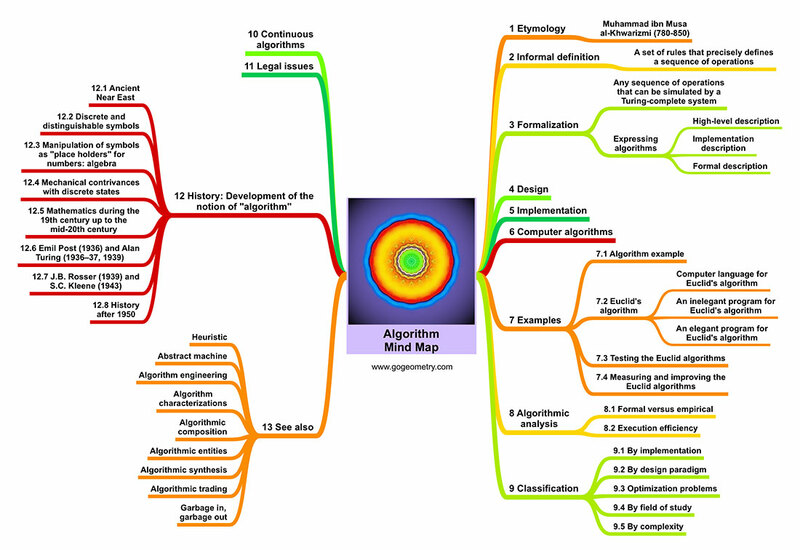 Mind map based on Wikipedia: Algorithm as of January 29, 2019. Graph showing how the words algorithm, computer, brain, software, mathematics, geometry, and AI have occurred in a corpus of English books over the selected years (1800 - Dec 2008). Google Books Ngram Viewer is an online search engine that displays a graph showing the frequencies of any set of comma-delimited search strings found in a corpus of books printed between 1500 and 2008.